“Improvise and play with song structure. Capture all of your musical ideas. Duplicate and create variations. Trigger, re-arrange, and create new combinations. Capture everything you play with Push’s unique recording workflow. Overdub new notes or create variations of phrases, moving quickly between your song materials with just a few buttons. After you’ve created ideas, switch to another mode to try them out in various combinations. 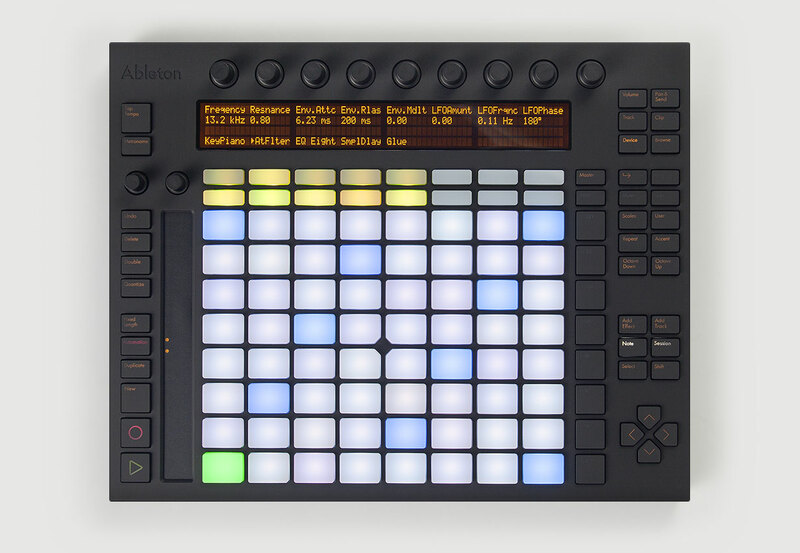 When you’re ready to get into arranging, detailed editing, and exporting your finished song, switch from Push to your computer to find your music already laid out in Ableton Live – the software that was powering your work the whole time. Push gives you the best of both worlds for making music: inspiring hardware for hands-on control at the beginning, and full-featured music creation software for fine-tuning the details at the end.